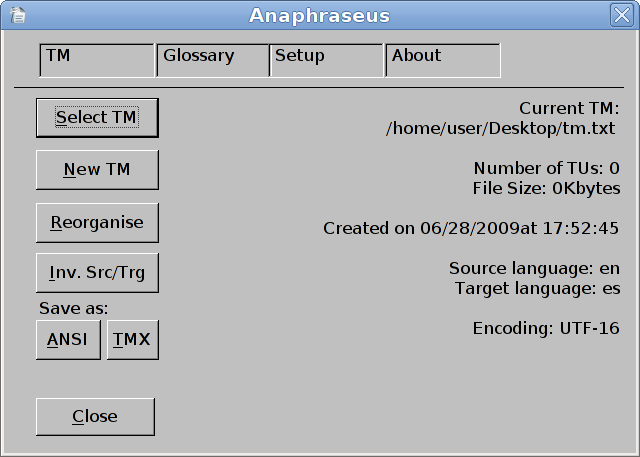 Anaphraseus is a computer assisted translation tool consisting of a set of macros for OpenOffice Writer, basing on the same principle of WordFast and Trados. It is available both as an OpenOffice.org extension and as a standalone document with macros, and it can be used on Windows, GNU/Linux, FreeBSD and MacOS X. 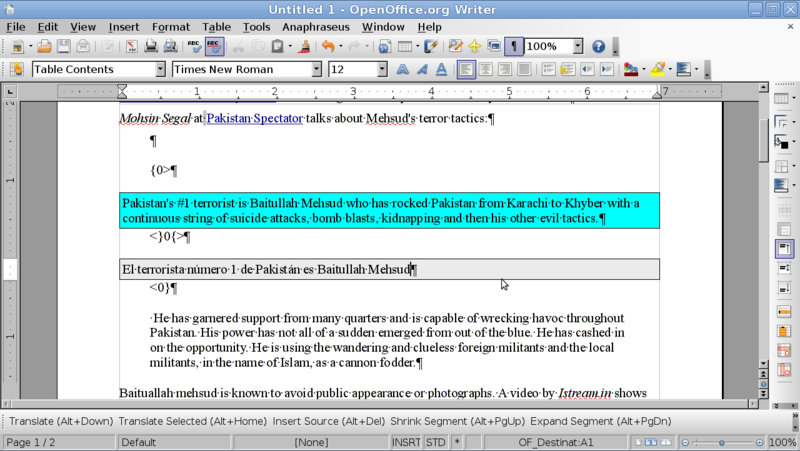 It can be used for translating files in any of the formats supported by OpenOffice Writer (txt, rtf, odt, etc.) with the aid of translation memories and glossaries. It can also be used to 'clean' files in Trados or WordFast 'unclean' format. Anaphraseus is free software licensed under the GPL.